Cheryl Martin began her Real Estate career in 1989 as an agent in Kankakee, Illinois. In 1996 after re-locating to Georgia, she obtained her Broker’s License. Cheryl continued her career experience as an agent for a locally owned independent company. In 2003 she became the Vice President and Managing Broker for that company. She is a member of the Nation Association of Realtors®, Georgia Association of Realtors®, Cherokee Association of Realtors®, President of North Georgia Referral Associates, Cherokee Chapter, Member of the Institute for Luxury Home Marketing, and a Fine Homes Marketing Specialist. 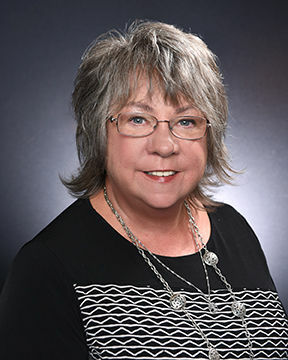 In April of 2007, Cheryl accepted the position of Assistant Broker, and Regional Trainer for Prudential Georgia Realty Towne Lake office, bringing with her 19 years of Real Estate experience. She continues her real estate career with Berkshire Hathaway Home Services Georgia Properties as a trainer, sales agent, and a residential broker.She manages a team of 7 and is the team lead of the Smart Movers Group project. Her certifications/Training Designations include, Management Certificate, Kennesaw State University, Certified Buffini Mentor, Coaching For Performance Improvement Training, Recruiting Services, Inc. Training Program, Certified Luxury Home Marketing Specialist Training, CRB, ARS, ABRM, CSN, SMC, and is E-Certified.